Q. How do I contact my instructor? 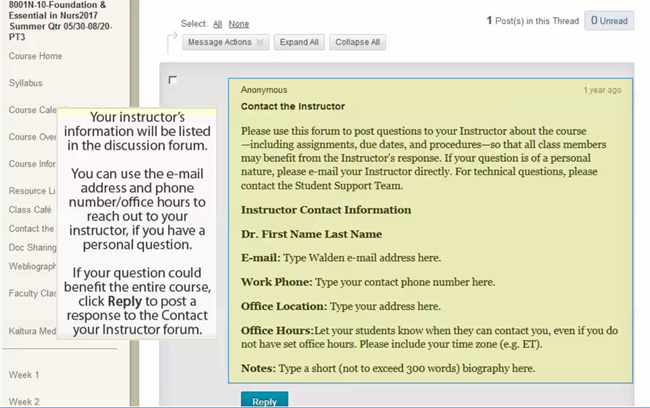 Your instructor should provide his or her contact information within the classroom environment. 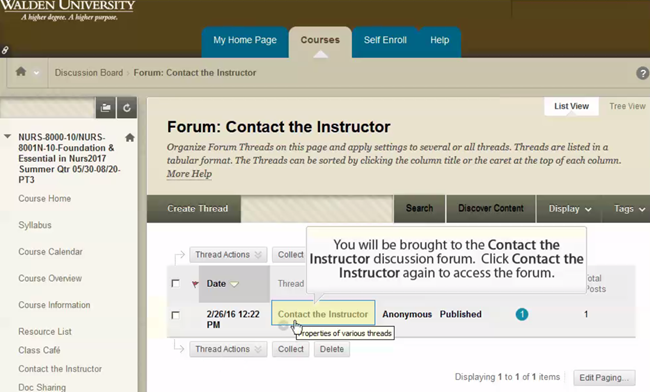 Your instructor's information will be listed in the discussion forum. You can use the e-mail address and phone number and office hours to reach out to your instructor if you have a personal question. If your question could benefit the entire course, click reply to post a response to the Contact your Instructor forum. Please note: Faculty members are very responsive to student emails but during peak times they may take one to two days to respond to your questions. Please allow 48 hours for a response from a faculty member.